Baidu is the most popular search engine in China, where it has 70% of the search market, and is the second most popular search engine in the world, after Google. Like Google, which has its very own PPC platform called AdWords, Baidu has a PPC platform of its own called “Tuiguang”, which is Chinese for promotion. Today, I will compare AdWords and Tuiguang from a PPC operational perspective to see their similarities and differences, and will then discuss the pros and cons of working with Tuiguang. First of all, let’s take a look at the similarities between the two PPC platforms. Baidu Tuiguang shares a lot of similarities with AdWords. Firstly, its account structure (account, campaign, ad group, keyword) is similar to AdWords. Secondly, meanings, principles (or rules) in quality score, ranking, DKI, destination URL, display URL, keyword destination URL, and ad extensions work similarly to AdWords. For example, keyword destination URL overwrites ad landing URL, just like in AdWords. Thirdly, Tuiguang also has a display network, and can do re-targeting campaigns. Finally, like AdWords, Tuiguang also has tools such as MCC, change history, optimisation suggestions, ad preview, keyword tool, keyword planner (i.e. evaluation tool), SQR, data report, conversion tracking, analytics (i.e. 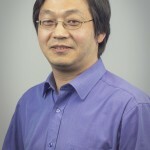 Baidu Tongji), and editor. Pay-per-click (PPC) advertising on Baidu is an effective way of quickly getting your products and services visible to internet users in China. Our experienced Chinese PPC team will set up a PPC campaign for your company on Baidu. They will manage all aspects of creating the campaign, from setting up your PPC account, conducing keyword research, creating the ad texts and checking your landing pages’ relevance. There is a big difference between Tuiguang and AdWords in keyword match types. Broad and exact matches work similarly to AdWords and are easy to understand. The three phrase match types require further explanation, however. Suppose you have the keyword “福特福克斯改造” (translation: Ford Focus transformation). The core part of this keyword is “福克斯改造” (translation: Focus transformation). Using phrase-core match will cover searchers’ queries that contain the keyword or its variations (e.g. insertion, reverse, and synonym), or the core part or its variations. Using phrase-synonym match will cover queries that contain the keyword or its variations (e.g. insertion, reverse, and synonym), but not the core part or its variations. Using phrase-exact match will cover queries that contain the keyword, but not its variations, nor the core part or its variations. If you are still confused, let’s assume, A, B, C, D, S, T are all Chinese characters. ABC is the keyword, and BC is the core part of the keyword. The coverage differences between the three phrase matches are shown in the table below. AdWords displays PPC ads at the top left, right-hand side, and bottom left areas of the first search results page. The top left area may contain up to three ads; the right-hand side may contain up to eight ads, and may continue onto the second results page; and bottom left area may contain up to three ads. One ad can only show once on a single search results page, so if an ad already appears at the top of a page, it will not appear at the bottom of the same page. Like AdWords, Tuiguang also displays PPC ads at the top left, right-hand side, and bottom left areas, but the display rules are more complicated. If a search query is highly relevant to a PPC ad’s keyword and ad content, this ad will be displayed at the top of the search results page without background colour and labelled as ‘Tuiguang’ (推广 in Chinese). There could be up to eight such ads. 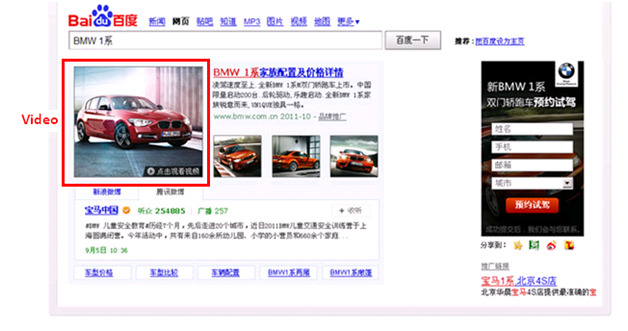 In general, PPC ads will be displayed at the top left and bottom left areas, with background colour, and labelled as ‘Tuiguang link’ (推广链接in Chinese). There could be up to five such ads. The ads displayed at the bottom are exactly the same as those at the top. 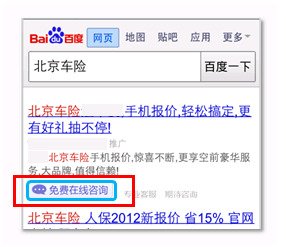 Therefore, on Baidu, one ad can show twice on a single search results page. Up to eight different PPC ads can also be displayed at the right-hand side of the first and second search results pages, if there are enough ads for the user’s search query. If displayed together with brand ads from Brand Zone or Brand Landmark (these will be explained later), brand ads will be the top. Your Baidu Tuiguang account automatically links with your Baidu Tongji account. Daily budget and geo-targeting can be set up at account level. Folder monitoring and convenient management. 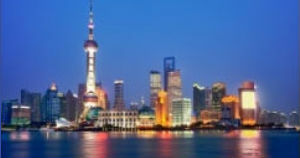 Baidu Business Bridge mobile consultancy. Various search channels (or products), including Brand Zone, Brand Landmark and others. Once your Tuiguang account has been set up, your account will be automatically linked to an exclusive Baidu Tongji account (equivalent to Google Analytics). This means that you can click a link in Tuiguang and go directly from your Tuiguang to your Tongji account – so you don’t need to apply for a Tongji account separately. Great! However, if you are using AdWords, and you also want to know your visitors’ activities on your website after they click on your ads, you will need to apply for a Google Analytics account, and then link the two together. Comparatively, it’s inconvenient. 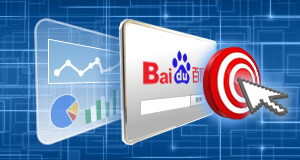 In Baidu Tuiguang, you can set up your daily budget and geo-targeting at account level, which is quite useful if you have several campaigns within the account and want to control the total spending of all of them. It also saves you time if most or all of your campaigns target the same locations, as you don’t need to set up geo-targeting for the campaigns one by one. However, you cannot do this in AdWords. Tuiguang provides advanced style ads for customers. You can add an image (called a ‘Phoenix image’) or your website logo to your ads, and also add sitelinks to them. There is no extra charge for adding the image (or logo) to your ads. Once your ad gets top exposures, the image (or logo) will be shown together with the ad, which can make your ad look attractive and impressive to searchers, and improve your CTR (see below). However, Google AdWords doesn’t have this type of search ad. At the bottom left of the Tuiguang dashboard, there is a ‘monitor folder’ icon immediately above the toolbar. If you click the icon, you can set up folder monitoring. Important keywords from different groups can be selected and put into one or several folders. These keywords in the folder(s) are just copies, and putting them there will not affect the structure of the account and its campaigns. Within the folders, you can see relevant keyword data such as impressions, clicks, conversions, and cost, and make batch changes to your bids and match types. Current or average position is a very important metric and reference when making the decision to change bids for some keywords. Without it, the change will be done rather blindly. Therefore, Tuiguang provides another tool called “convenient management” (‘便捷管理’ in Chinese) to help with optimisation management for important keywords. The “convenient management” button is at the top of dashboard. Similar to folder monitoring, within the convenient management section you can select important keywords from different groups and focus more attention on them. You can see the current position, current bid, clicks and cost from yesterday. Current bid data may help you to make decision about changing bids. But, sometimes, you may need data such as CTR, conversions, and CPA for a certain period as well to come to a sound decision. However, there is currently no such data shown in the “convenient management” section. Google AdWords doesn’t have a direct equivalent to folder monitoring or convenient management. However, it has a label function and powerful filters, both of which can be used to similar effect. 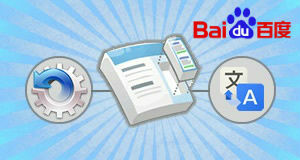 Baidu has a software tool called “Baidu Business Bridge”. If you download and install the software, and input a snippet of code into your website, a visitor to your website will simply be able to click a consultancy icon and immediately start an online chat with your service staff, without needing to install any software themselves. Tuiguang offers the tool as an ad extension. Through the ad extension, you can insert a “Free Online Consultancy” (‘免费在线咨询’ in Chinese) button into your ad. Once your ad gets top exposures, a visitor may click the button, and start an online chat with your service staff. This ad extension can make you look attractive and trustable to searchers and enhance your traffic, and can also make you closer to your potential customers, and convert them into real customers quicker. Tuiguang calculates your points based on how much you spend on your PPC campaigns and how long they’ve been running. These points can be converted into gifts (e.g. iPad) or coupons. However, you must remember to claim them before their expiry dates! To claim your gifts/coupons, you need to click “account centre” (‘帐户中心’ in Chinese), and then click “offers area” (‘优惠专区’ in Chinese). Brand Zone: This is a bespoke advertising platform for famous brands, and can integrate video, image and text into an ad. The ad will show above all other search results once a search query related to the brand is made. Brand Landmark: This is an important supplement to Brand Zone, mainly aimed at promoting brands. You can buy general keywords (e.g. 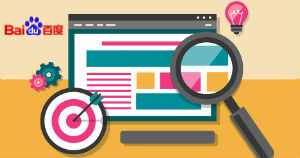 computer lessons, English lessons), then once a search query is made with these keywords, your official website information will be placed at the top right of the search result page. This advertising will enhance your brand influence. Knowledge Marketing: This was initially called “Brand Starting Line”, and is designed for small to medium sized businesses that would like to improve their brand reputation and enhance their search conversions. Some searchers decide to buy a product once they feel they’ve collected enough information about the product, while others may want to know the brand reputation and users’ comments about the product before they make purchasing decisions. 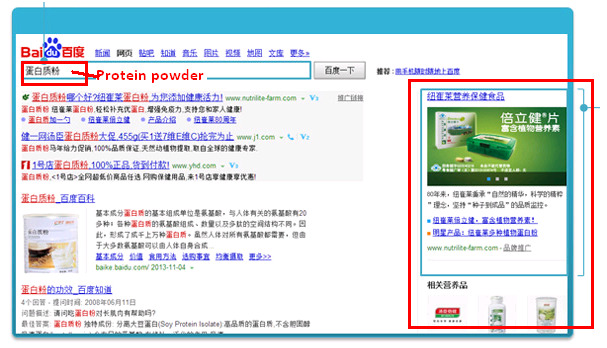 Knowledge Marketing presents your ad to searchers in the normal search channel, but, at the same time, also provides answers about your brand reputation and product quality in the Baidu ‘Know’ channel. So your ads will be promoted in two channels. The ads will be triggered by brand keywords or exclusive product keywords. Education Marketing: This is exclusively designed for education or training organisations based on their features such as courses and examinations, and show their ads (organisation cards, course cards, or examination cards) to searchers in the search results pages. Health Marketing: Baidu has developed a health platform called ‘Baidu Health’ that helps thousands of patients to look for hospitals, ask questions to doctors, book appointments, and give feedback to hospitals/doctors. PPC advertising related to health can be done on this platform. 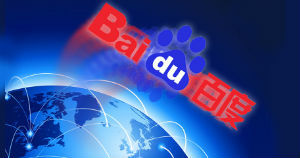 Baike Marketing: Baidu also has an encyclopaedia platform. You need to register your brand, products or business name with it. If your registration is successful and passes the verification process, your entries and Baike page will be marked as verified and thus be seen as more trustworthy. You can also provide some brand keywords to be linked to your Baike page. When searchers ask questions related to these keywords, your Baike page will appear on the top of the search results page. This is also known as ‘Question & Answer’ advertising. Not easy to set up an account. Not easy to log in. You cannot advertise different websites from one account. Each campaign is required to have a minimum daily budget of 50 Chinese yuan. A certain pre-paid threshold is needed, and its transfer needs at least one week. Same keyword with different match types cannot be mixed into same group. Cannot show average (or current) position metric in dashboard. Automatic bidding options are quite limited. Cannot manually change bids by percentage, estimated top of page or first page bid. For display network, there are no ‘Age’ or ‘Parental status’ options in the demographics category. Editor is good, but still second to AdWords Editor. In AdWords, users can set up a new AdWords account in minutes. However, it is a very different process in Tuiguang. Before you open a new account, you are required to provide a business license and proof of ownership of your website to Baidu for verification. The deposit for opening the account is at least 50,000 Chinese Yuan (roughly £5,000). The full account opening process takes about one and a half months. You can log in to an AdWords account in just seconds, however, sometimes, it can take a long time to log in to a Tuiguang account. For security reasons, when you first log in to an account, you are required to provide a Chinese mobile number. Thereafter, you will not be asked to provide the number again if you use the same computer. This sounds fine in theory, however, sometimes, if the account is accessed from a different computer (by you or someone else), you will need to provide the mobile number again when you log in. Up until this point it is still fine, but the trouble is that once the account has been accessed from several computers in a short time period, just providing the phone number isn’t enough when you attempt to log in. Tuiguang will send a verification code to the mobile, and you need to input the code within a minute. However, if the mobile holder is in China, but you’re working in another country and, due to the time difference, your working time is the mobile holder’s sleeping time, how are you meant to get the verification code in such a short time?! You will have to Skype or email the holder to book an appointment to sort out the problem together another day. This can be rather time consuming! If mobile numbers from other countries could be accepted by Tuiguang, and verification code could be delivered to these foreign mobiles, the above problem would be sorted out. In AdWords, you can advertise different websites from one account as long as they are in separate campaigns. 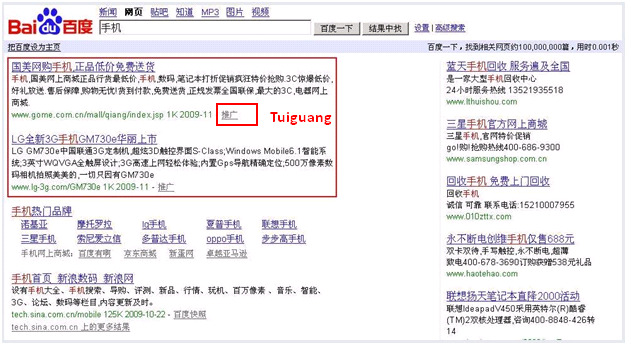 However, in Baidu Tuiguang, you cannot do so even if the websites are owned by the same client. Unlike Google AdWords, the daily budget for a Tuiguang campaign cannot be set up as small as you want. The minimum daily budget for a campaign must be 50 Chinese Yuan (about £5) or over. Suppose you have an account that contains 20 campaigns in total. Five of them are exclusive campaigns that target specific industries respectively. The daily budget for the whole account is 20,000 Chinese Yuan, but 19,500 Chinese Yuan is required to go on the five exclusive campaigns, so only 500 Chinese Yuan is allotted to the remaining 15 campaigns. Each campaign must be kept alive. What are you going to do? In AdWords, it would be quite simple because you can set up daily budget for a campaign as small as you want. But in Tuiguang, the minimum daily budget for 15 campaigns should be at least 750 Chinese Yuan, 500 Chinese Yuan is obviously not enough. In order to make 15 campaigns spend 500 Chinese Yuan or less, ad scheduling will have to be used to control their online time, even only going online for one hour if needed. Budget control in Tuiguang can sometimes be more complicated than in AdWords! Pre-payment is required for Tuiguang accounts. You need to pre-pay the money before its balance has been used up. Each time, your pre-payment must be over a certain pre-paid threshold required by Baidu. If you transfer money from other countries into your Tuiguang account, the settlement of exchange is very time-consuming. It will take at least one week to get the money into the account since you have finished transfer transition with your bank. So, to prevent your Tuiguang campaigns from being paused because of money shortage, you are suggested to make your pre-payment earlier and also properly control your daily budget. Comparatively, in AdWords, you will never experience the minimum pre-payment requirement and such a time-consuming process. In AdWords, the same keyword with different match types can be mixed together and put into the same group. However, you cannot do so in Tuiguang. If you do need to use the same keywords with different match types in your campaign, you’re suggested to set up a broad match group, phrase match group, and exact match group for some or all keywords respectively. There is no average (or current) position metric in the Tuiguang dashboard. This can make it difficult to decide whether you should change your bids for some keywords or not, because the most important metric and reference is missing! If you really want to get information about keyword positioning, you can put your chosen keywords into the “Convenient management” section. However, you cannot get data such as CTR, conversions, and CPA for the keywords here, which can also make it difficult to make bidding decisions. You can do automatic bidding in Tuiguang, but are limited to the top three positions. However, you would have a lot of choices for automatic bidding in AdWords, e.g. automatic bidding to maximise clicks, conversion optimisation, various automatic bidding rules and strategies, and AdWords scripts. In AdWords, you can manually increase or reduce bids by percentage for one or several keywords, or raise bids to estimated top of page or first page bid if they are too low. But you cannot do so in Tuiguang. As we know, AdWords has a lot of filter and segmentation functions. You can conveniently use them to filter out or segment what you want to do bidding or data analysis. However, Tuiguang doesn’t have such functions. AdWords has a flexible label function. You can label not only important keywords, but also other keywords such as “expensive keywords” or “unimportant keywords”, or to denote new ads that have been added or keywords that are being tested. You can figure out the keywords by labels and filters, so you have a lot of flexible choices. With Tuiguang, you can differentiate important keywords from others by putting them into monitor folders and convenient management, but your options are otherwise quite limited. If you want to test two ads or landing pages to see which ad brings in more clicks or which landing page leads to more conversions, you cannot test them concurrently, as you can in AdWords. You can only test one ad or landing page for a certain period, e.g. two weeks, and then test another one for the same time length to compare their performances. It is very inconvenient to do the test, and also not easy to compare the two ads’ (or landing pages’) performances to draw a convincing conclusion on which one is better, because the performance data comes from different time periods. 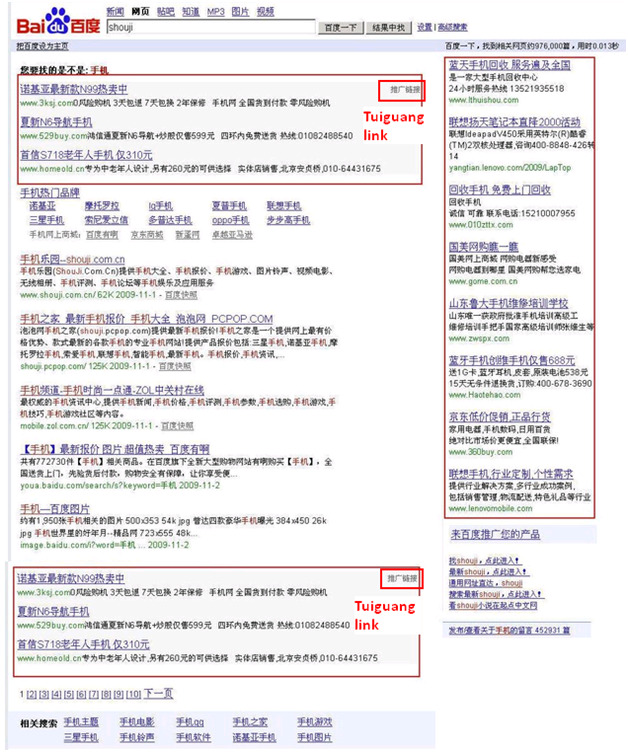 Tuiguang’s display network is quite similar to AdWords’ display network. Tuiguang even has floating image ad and video ad formats that AdWords doesn’t. Of course, Google has YouTube that involves video ads. However, in regard of the limitations of the Tuiguang display network, its segment and filter functions don’t have so many options as AdWords, and also there are no ‘Age’ or ‘Parental status’ options in the demographics category. Furthermore, Tuiguang uses an ‘Industries’ option instead of a ‘Topics’ option of AdWords. Generally speaking, Baidu editor is a good offline campaign management tool that can effectively help you establish, upload and download your campaigns, and even manage your bids. However, compared to AdWords editor, it has its defects. It’s not sensitive to errors, and not so convenient to do text changes. For example, in Tuiguang, the character limitation for a group name is 30. When you establish a campaign, and copy its groups from an Excel file to the editor, if a group name has over 30 characters, the system just simply pretends it doesn’t know the group, and ignores the group without warning or reminding you when the campaign is being uploaded. You will find that uploaded groups and keywords/ads are less than what you want, and you have to spend a lot of time checking what has happened, and which keywords, ads and groups are missing. Another example is, AdWords editor can easily make text changes for ads or keywords by functions such as replace text, append text, and advanced URL changes, but Baidu editor doesn’t have these functions. Despite Baidu Tuiguang having a lot of disadvantages, this definitely shouldn’t deter you from including it in your PPC strategy as it also has some advantages. Based on the above comparison between Baidu Tuiguang and Google AdWords, you can understand how different these two PPC platforms are. If you would like to do PPC advertising through Tuiguang to Chinese people, it’s vital to have an experienced Baidu PPC specialist and an agency that has a good relationship with Baidu to assist in setting up and managing your PPC campaigns. Not hosted in China, no. IPC Licence. Need overseas Baidu agency. We also consider SEO and Affiliate Marketing.